Likely to preview the CBR250RR. 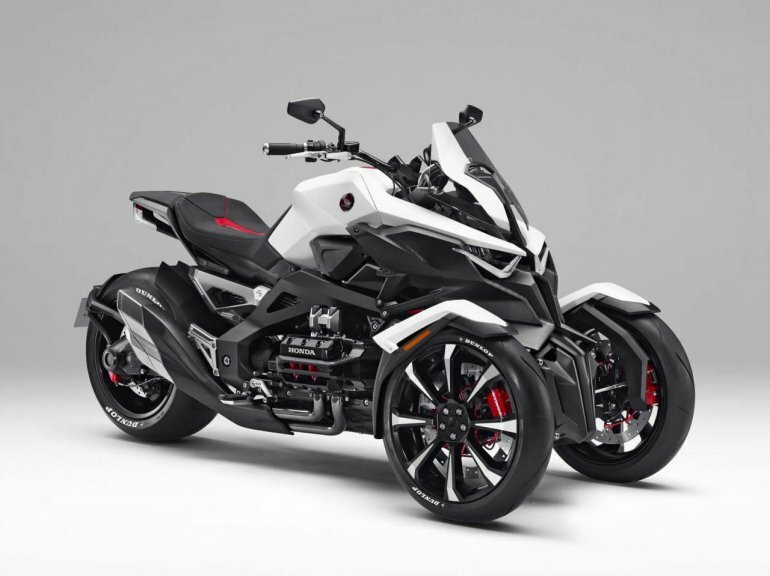 Honda has revealed the pictures and shared short descriptions of three motorcycle concepts ahead of their debut at 2015 Tokyo Motor Show at the end of this month (October 30 to November 8). 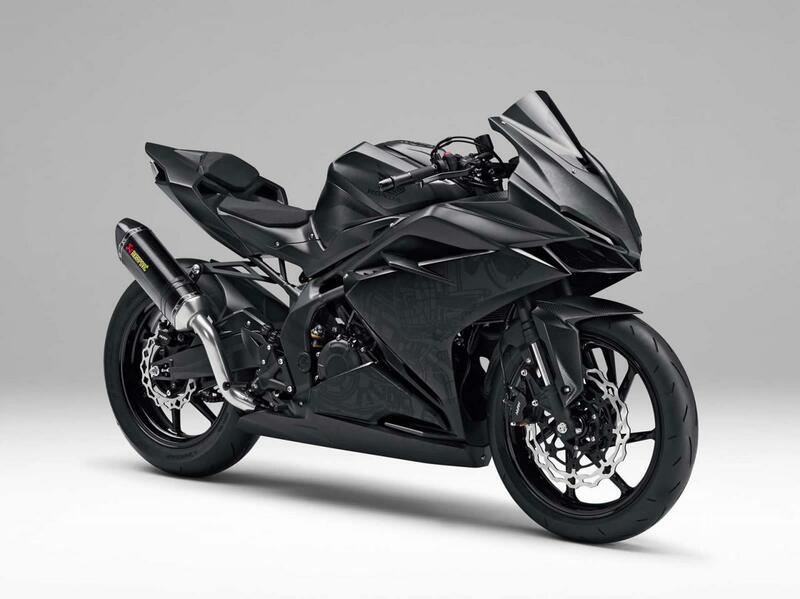 This concept will apparently preview a new design language for the upcoming products in the CBR series, specifically for the highly anticipated Honda CBR250RR, given that the model has indications of being a low-displacement motorcycle (like the single-rotor disc brake upfront). The concept has high dosage of sharp edges and futuristic appeal, most of which can be expected to be passed on to the production model given the competition, the Yamaha R3, is to be taken down in this aspect. The Light Weight Super Sports concept has a comparatively upright riding position, which is typical of CBR models. The technical details of the concept is not likely to be revealed until the unveiling ceremony at Tokyo. For now, it can be seen that the concept is equipped with an Akrapovic exhaust. This is a three-wheeler concept designed for increased stability on straights and sporty feel (as much as a super sports model) during cornering. Touted to provide "plentiful torque for powerful acceleration", the NEOWING concept is propelled by a hybrid powertrain that includes a 4-cylinder horizontally-opposed engine apart from electric motors. 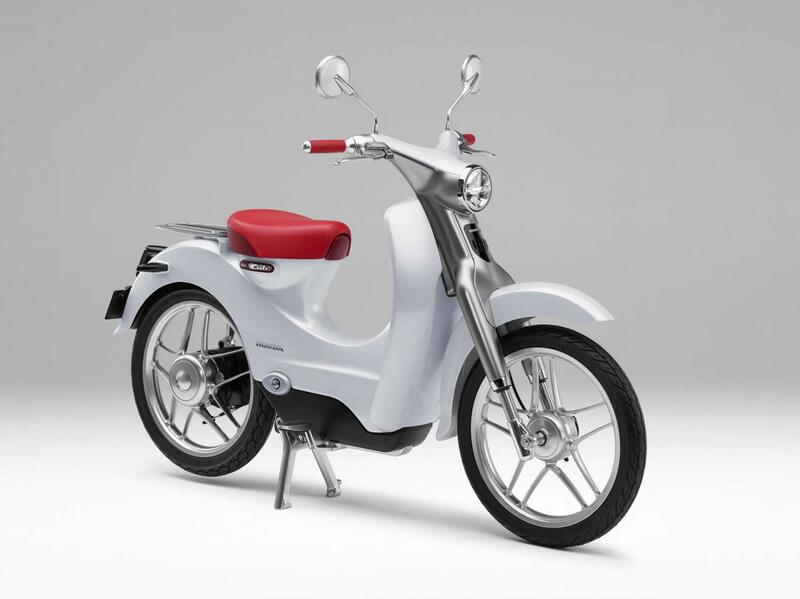 Adopting a moped-design, the EV-Cub concept is branded as a personal commuter good for short distance use. The battery of the electric vehicle is fastened in the lower central area, in order to ensure the ease of mounting and dismounting. The reason for the battery being able to be removed without a hassle, could be for the ease of charging using a domestic wall socket.